This is an excellent full length biography of America’s second president who was the ‘Colossus of Independence’ arguing for the passage of the Declaration of Independence on the floor of the Second Continental Congress. Adams’ venerated political writings established the framework for our nation’s government on the state and federal levels. A fine judge of character, Adams nominated George Washington to lead the Continental Army, negotiated foreign loans to aid the Revolution, gained recognition for America’s independence abroad, and was part of the diplomatic team ending the Revolutionary War with the Treaty of 1783. Chosen as America’s first ambassador to Britain, Adams renewed amicable relations with the former mother country. Through his political writings, Adams influenced the framework for the U.S. Constitution with his earlier state constitution for Massachusetts. Elected as Vice President when George Washington was elected first U.S. President, Adams established the ground rules for the U.S. Senate to operate, presiding as he did over that august legislative body. He served as Washington’s right hand man and when elected to the presidency himself in 1796 he carried on Washington’s “no entangling alliances” policies and made his own decision to keep the U.S. out of a full-scale war with France during the French Revolution. His Puritan New England background buttressed his sense of morality which he infused into every document he wrote and which dictated his close family relationships especially with his wife Abigail Smith Adams. John Adams was the “thinker” for the revolutionary generation who incorporated all elements of the American political tradition such as republicanism, the separation of powers, the compact theory for government’s creation, the separation of church and state, the need for public education, the necessity for all citizens to enjoy the guarantees outlined later in the Bill of Rights, and the concept that the federal government should rise above the states. 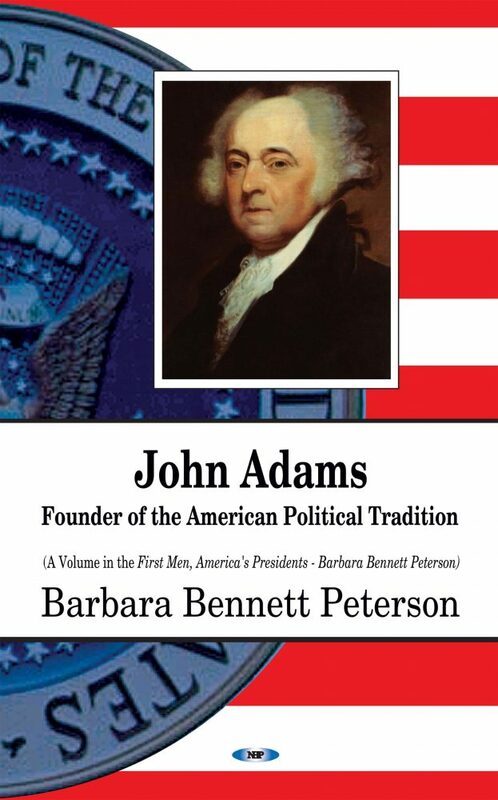 Barbara Bennett Peterson’s book, John Adams, Founder of the American Political Tradition, was nominated for the Pulitzer Prize for 2015 in the category of Biography.